I’m happy to announce I’ll be at Third Place Books in Lake Forest Park, Washington on Saturday evening, June 22nd, 2019, at 6pm. Please join me as I celebrate the release of The Forgetting Flower. I plan to read an excerpt from the book and hang out with everyone afterward. Hey everyone, the cover for my novel, The Forgetting Flower, has been revealed and preorders are open! As of April 1st, 2019, they’re only available on Amazon, but that will soon broaden to include other sites. But for now, you can CLICK HERE to order the ebook! The paperbacks are coming soon. And I’ll be posting a form by April 6th so everyone can put in their info and get the Renee’s Garden seed packet of wildflower seeds to help bees! I’m thrilled to announce that on the day the preorders of The Forgetting Flower open, I will be giving away wildflower seed packets with every preorder! I’m excited because I’m working with Renee’s Garden, a company that sells organic, heirloom, non-GMO seeds, and the packets contain plants that help bees thrive. As you may know, our bees are dying off from pesticide overuse. And we need them. I wrote about how you can help in a recent post and now it will be even easier! The first 25 people to preorder my novel will receive the ‘Early Blooming Beekeeper’s Mix’ of seeds. You can sprinkle them in your garden or grow in a container on a balcony! I’ll be posting more information about when my pre-orders open soon! And on that day, my cover will be revealed too! I’m excited to share them both with you! I’m excited to announce that Magnolia Press will be publishing The Forgetting Flower in 2019! This is a literary thriller that’s somewhere between Garden Spells and a Cara Black novel. Here’s the summary: Renia Baranczka is living the life she always hoped for in Paris. She manages a chic plant shop though her rarest plant is locked away and not for sale. Its flowers emit a special fragrance that can erase a person’s memory. She can’t just destroy it, she promised her mentally unstable sister she wouldn’t. But one day, when Renia’s favorite client turns up dead, she realizes the plant may be more dangerous than she thought and without her client’s business, the shop can no longer stay afloat. So when a shady character from her past appears with a nefarious proposal, Renia does what she’d pledged she’d never do: sell the flowers for cash. As Renia navigates the underworld of blackmarket mobsters, she must fend off unwanted advances, physical abuse, and intimidating threats until finally, she must fight not only to save the plant, but her sister, and ultimately, herself. On November 12th, 2018, a year after my cat Maddie died and was revived by a vet, I published Song of the Tree Hollow. This is a short literary mystery inspired by Maddie’s experience. It walks the line of a cozy with cats, gardening, a woman sleuth, and music at its heart. This story is set in Seattle but future books in the Verdant Souls series will take place in France and Italy. You can order it as an ebook or physical book, HERE. When I adopted my kids several years ago, I spent two months living in Poland. Kraków was my favorite city. It’s beautiful and historical. My post, 5 Reasons Why I Love Krakow, is now live on The Globetrotting Gal. This is a comprehensive travel blog with an amazing amount of information. Founder Samira has been to 32 countries and six continents. The talented Christi R. Suzanne interviewed me recently for her writing blog. We both write speculative fiction and both live in the Northwest. We talked about plants, books, and weird Polish literature. You can read the Q & A here. In April, I had a fun time writing a post for Sue Vincent’s blog, Daily Echo. The Daily Echo is an inspirational blog for readers and writers. There are poems, articles, and writing prompts. Sue has published mystery books and nonfiction on ancient myths. My article, “The Unexpected Love of a Stray Cat,” is about how we adopted our cat Aleksy. Or rather, how he adopted us. You can read the article here. 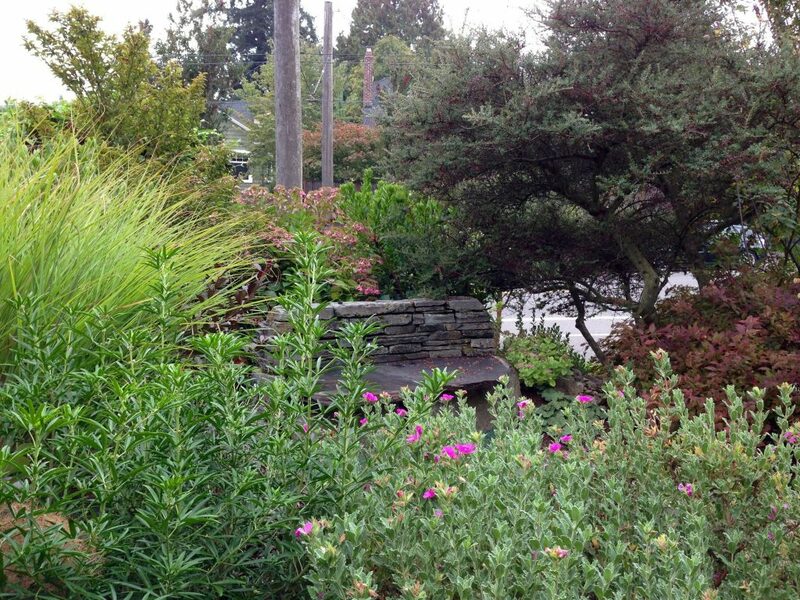 My post “Ten Trees and Shrubs for Small City Gardens” is on the Swanson’s Nursery website. Swanson’s Nursery is a dreamy plant nursery on Seattle’s north side. They sell trees, shrubs, perennials, and grasses. They also have a cozy cafe that’s nestled among tropical plants and a large selection of pottery. You can read my article here. In March, I had a lovely time speaking with UK gardening expert Jane Perrone on how to keep your plants safe from cats and how to keep cats safe from plants. Now Jane’s and my chat is live on her podcast, On the Ledge. Jane was the longtime gardening editor at The Guardian and now writes for such publications as The Garden Design Journal and others. To hear the interview, click here. For more background on the issue, see my earlier post How Cats and Plants Can Live Together. I had a fun conversation with Dave Ledoux on the podcast “Back to My Garden.” Dave interviews dozens of gardening lovers every year and has a huge archive on his website. We talked about everything from the challenges of gardening in rainy, hilly Seattle to the frustrations of having moles in the garden. Click here to listen to the interview. Awhile back, I talked about gardening and designing small spaces with Seattle Met magazine. We covered best plant choices for tight spaces, summer watering, and why having a patch of nature is so important for city dwellers. Read the article.